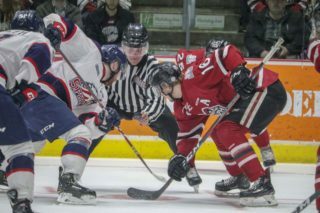 The Guelph Storm are not only racking up wins (6-2-1), they also seem to be finally buying into coach George Burnett’s discourse of playing the defensive side of the game with the vigour they show in the offensive zone. Sunday’s 3-2 over London was perhaps their most complete effort of the season. They dominated the first two periods of the game and only Knights goaltender Joseph Raaymakers kept it close with the Storm holding a slim 2-1 lead after 40 minutes. 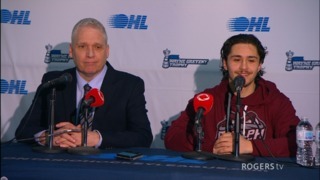 “Coming off five straight (wins) where we scored six goals (every game) we were feeling good and I guess we got a little complacent there and took it easy,” admitted Merkley. But Sunday they came out and took it to Knights right from the outset. 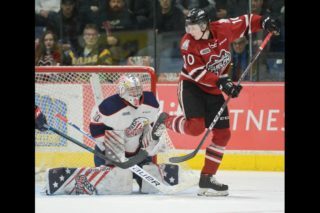 Last season Jack Hanley, traded to Guelph in the summer, was a key member of the Hamilton Bulldogs who won the league championship and he can see a lot of good things on the Storm that they had last year in Hamilton. The other area is team cohesiveness, the ability to bounce back when things don’t go well. The other similarity the former Bulldog sees is a respected veteran presence in the dressing room. Hanley is a big part of that leadership faction and likes to keep things light in the dressing room so everyone stays relaxed. 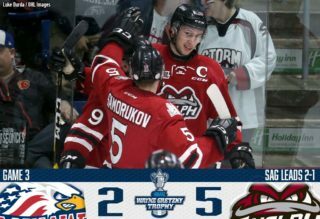 So far so good for the Storm but only hard work at both ends of the ice will turn this quick start into a winning habit. 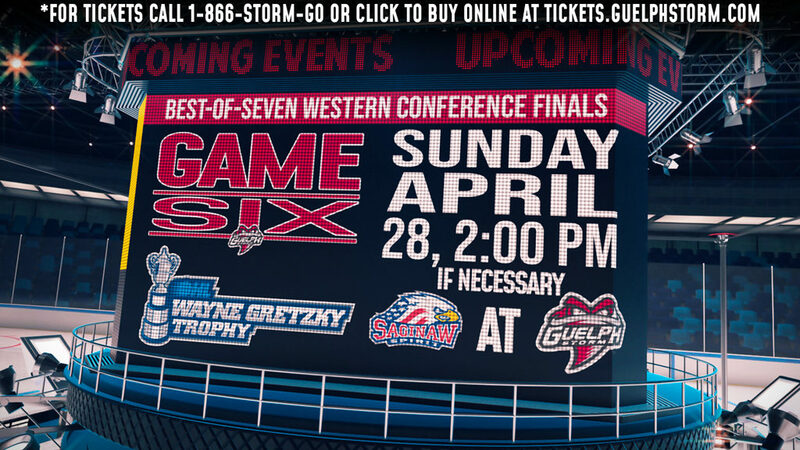 From the Land of Oz … The Storm defeated Owen Sound 6-3 Friday night. 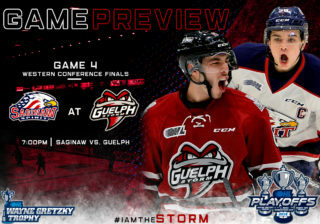 Tag Bertuzzi had a goal and two assists, while Dom Commisso was the game’s first star with three assists … The Storm honoured local first responders Sunday acknowledging all the great work done by Guelph police officers, firefighters and paramedics … The Storm is in Kitchener Friday and Owen Sound Saturday before hosting Kitchener Sunday at 2pm.